A Dental Implant is the next best thing to the real thing! A dental implant is one option for replacing a missing tooth. Implants have been used for many years. They are man-made "anchors" that look like screws and are made of titanium and other materials that are compatible with the human body. The single tooth implant is placed by surgery in the upper or lower jaw, where it replaces your missing tooth's root(s). An implant looks and functions like a natural tooth. It fits securely even when you chew and speak. A single tooth implant does not involve treatment to your other teeth. 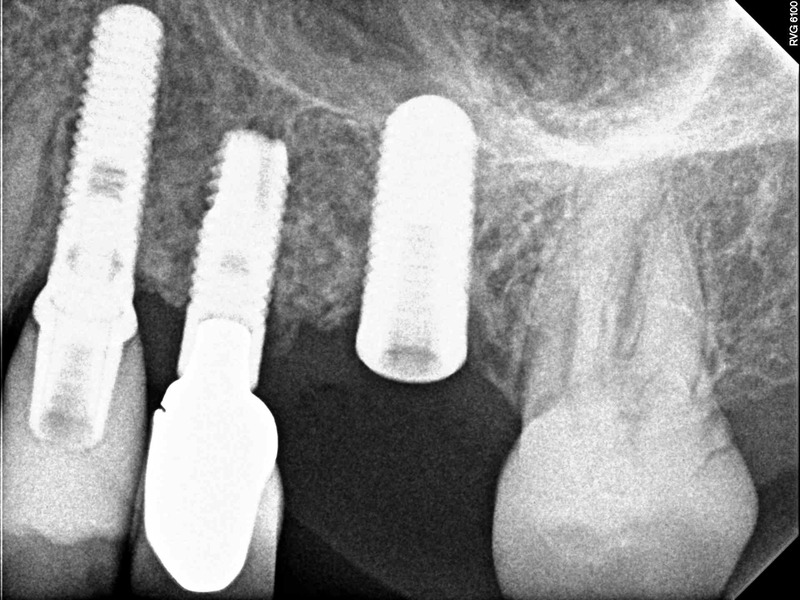 The way implants are placed depends on the patient, the type of implant, and the tooth being replaced. Some implants require two or three appointments and can take up to a year to complete. First, the dentist surgically places the implant into the jaw. The implant attaches to the bone through a process called osseointegration that takes four to six months. immediately after the surgery, there may be some swelling and/ or pain for a few days, so Dr. Kruyer may give you pain medication. Dr. Kruyer may also suggest a diet of soft foods, cold foods and warm soup while the area heals. 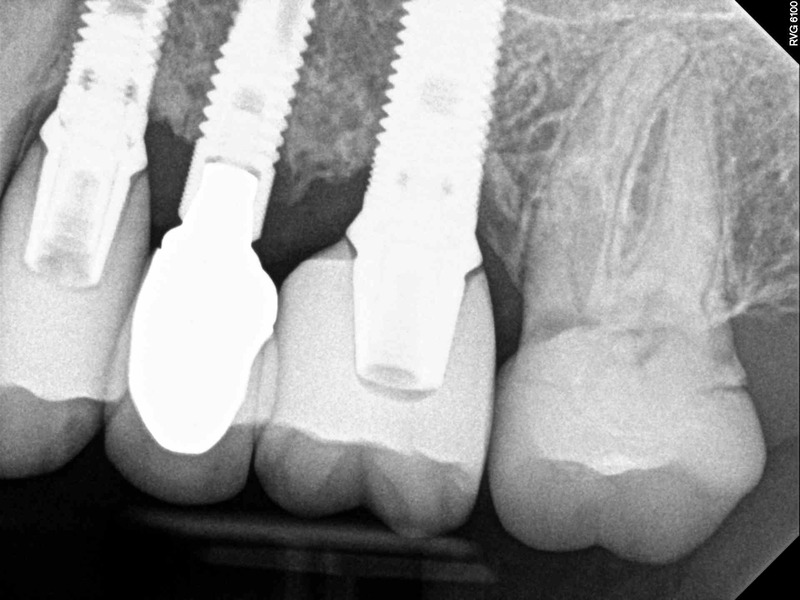 Next Dr. Kruyer may attach an extension, called a post or abutment, to the implant. Once healed, the implant and post can serve as the base of the new artificial tooth, or crown. Finally, Dr. kruyer makes a crown, Based on a size, shape, color, and fit that will blend with your other teeth. A temporary crown is placed until the permanent crown can be custom-made. Once the permanent crown is ready, it is attached to the implant or post. Who is a good canidadte? ... are in good health. Chronic illnesses, such as diabetes or leukemia, may interfere with healing after surgery and prevent successful placement of an implant. ...have a jawbone that can support an implant. If you have lost bone in your jaw you may still get an implant, but first bone must be added by a special procedure known as bone grafting. ...don't use tobacco. Smoking can cause dental implants to fail. Good oral hygiene is very important to the success of the implant. You'll need to make sure the area around the implant is especially clean. Dr. Kruyer may recommend that you use a special toothbrush, called an interproximal brush, or a mouth rinse to help prevent cavities and other problems. Regular dental visits are also important. Dr. Kruyer will create a schedule of regular checkups and professional cleanings to keep your implant and your natural teeth healthy. A gap between your teeth when you smile or speak may be a cosmetic concern. If a missing tooth is not replaced, the teeth around it can move. Harmful plaque and tartar can form in new hard-to-reach places. Over time, this may lead to tooth decay and periodontal (gum) diseases. Bone loss can occur in the region of the missing tooth.